We all dream of owning a beautiful lakeside mansion or luxury villa. Imagine marble floors, tall glass windows, and a terrace that leads onto the lake. Luxury properties like this are hard to come by. They’re expensive to purchase, and they don’t hit the market very often! However, if you have come into some money, and you’re looking for a luxury property, we’re here to help. Our regular readers know that we specialise in high-end property, and we’ve been through the process before. No two luxury properties are the same. Each are bespoke designs with varying form and function. Each facilitates a different need and personality. It’s up to you to choose the right home and location for you and your family. Purchasing a luxury home is a big step, so take a cautious and considered approach. In this post, we’ll explain what to look for, and how to secure the right property for you. Your first big decision lies in your estate agent. When looking at luxury properties, you need an estate agent with experience in this field. Your average realtor won’t understand the intricacies and attention to detail you’re looking for. Choose an agent that specialises in luxury real estate. Choose someone who knows the market, and understands high-end property. Take a look at DebBeranProperties.com to see how luxury lakeside homes are presented. Speak at length with your realtor, and ensure they know what you’re looking for. As well as putting your trust in an experienced estate agent, start the research process yourself. Use the internet to begin your search, and get a sense of what’s out there. Shortlist a variety of properties that meet your needs and price range. Of course, you won’t want to rely on photos and descriptions alone. But, it does give you a strong sense of the value in a particular area. It will help you spot an under or overpriced property too. Once you’ve found some properties you like, look at how much similar homes sold for in the area. 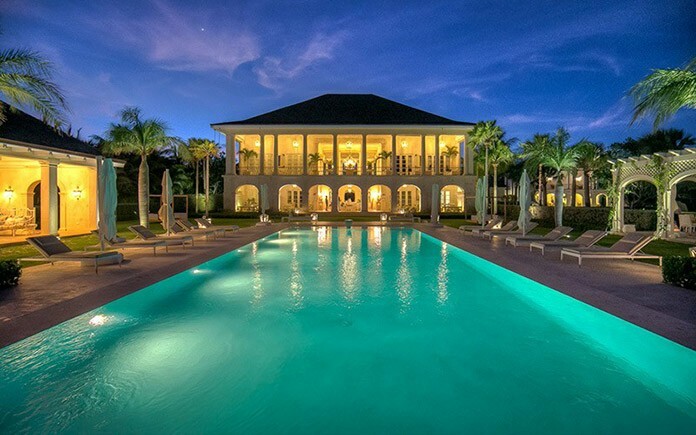 When it comes to purchasing luxury properties, the process is a little more complicated. It typically takes longer to process and approve large mortgages. So, if you’re looking to borrow money to fund your luxury purchase, do so early. The checks can often take over 60 days, so it’s best to get your finances in order early on. Here’s a tip for first-time buyers, make an appointment with a mortgage broker or financial adviser now! When the time comes to put in an offer, it’s always best to be pre-approved for your mortgage. So far, we’ve covered all the background information. Armed with this knowledge, you’re ready to start your house hunt! By now, you should have a few potential properties in mind, and you can begin to narrow down the field. The first thing to look for in a luxury property is the location. Location is typically the biggest determining factor in property value. High-end locations will always come with a bigger price tag, but it’s often worth it. Are you looking for a peaceful lakeside property, or a luxury apartment? The best thing about having a larger budget is the access to bigger spaces! Most of us have experienced small, city-centre flats and apartments. Upgrading to a luxury property means expanding the square footage. If you’re thinking of moving house, consider the space available to you. You’re looking for a good mix of space and practicality. Think about the size of your family, and whether a large space will feel too empty? Try to match the space of the home to your practical needs. When it comes to luxury homes, we always get excited by the potential facilities on offer! Perhaps you could hunt down a house with a tennis court built into the garden. Maybe there’s a heated swimming pool or sophisticated electronic gadgets in the house. With a big budget for luxury living, you can indulge in the finest facilities to make life easier (and more exciting!) If you have any priorities here, make sure your realtor is aware, so they can find the best option. Unfortunately, luxury properties will always be a target for thieves and burglars. If you’re considering a larger home, try to find a place with built in security technology. Complex alarm systems, CCTV cameras, and motion sensors should all be on your priority list. It’s extras like this that make a property feel more secure. The luxury lifestyle is a key factor in your search for property. Everyone has different priorities in life, and that ought to be taken into account with your new home. Do you need to be close to the city centre for work? Are you an active, outdoors type who’s looking for country living? Think about your daily routine, and goals for the future. How do they align with the properties you’re viewing? Buying a luxury property is your chance to indulge in the very best architecture. It’s rare that we get to enjoy the structure and building work in our own homes. Buying a luxury property means you can stimulate your architectural passions. As house prices increase, so does the level of architectural intelligence and creativity. With this decision, you can live in a property that inspires and excites you from the inside out. We’ll leave you with one crucial piece of advice. When it comes to luxury properties, it’s very easy to get carried away in the excitement. Outstanding architecture, luxury facilities, and breath-taking locations will often cloud our judgement. Despite everything, always try to maintain a sense of practicality. The house must still function as a family home every single day. Making sure it’s right for you and your family’s routine is always the top priority. Well readers, we’ve armed you with all the knowledge and expertise you need to find your dream home! Good luck, and we hope you find the perfect property.